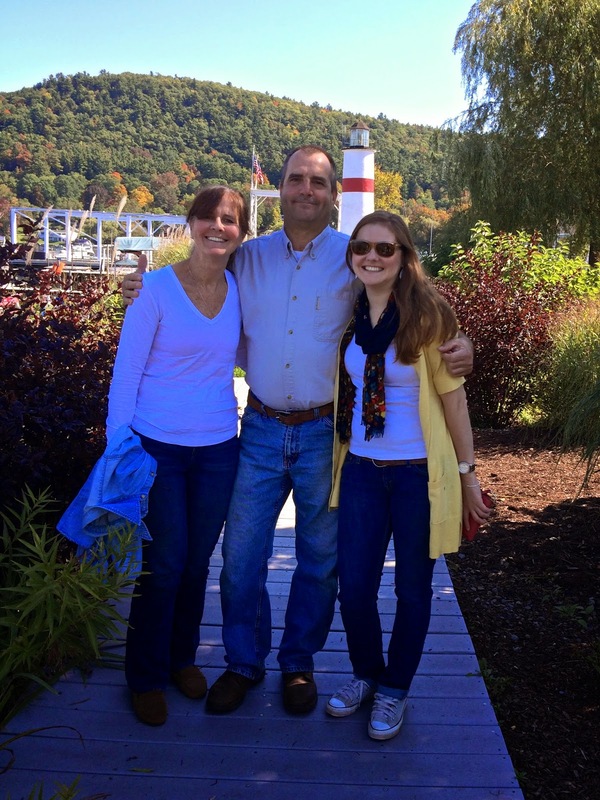 This past weekend, I went apple picking with Mike's family at Middlefield Orchard in Cooperstown, NY. It was such a beautiful weekend to be outdoors soaking in the sunshine and seeing the first foliage of the season. 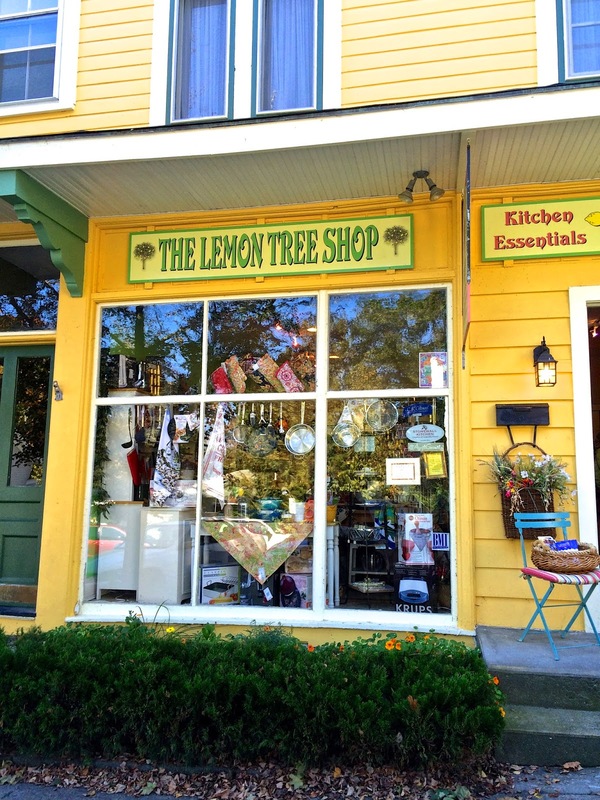 On the way to the orchard, we drove down Main Street and stopped to visit The Lemon Tree Shop. 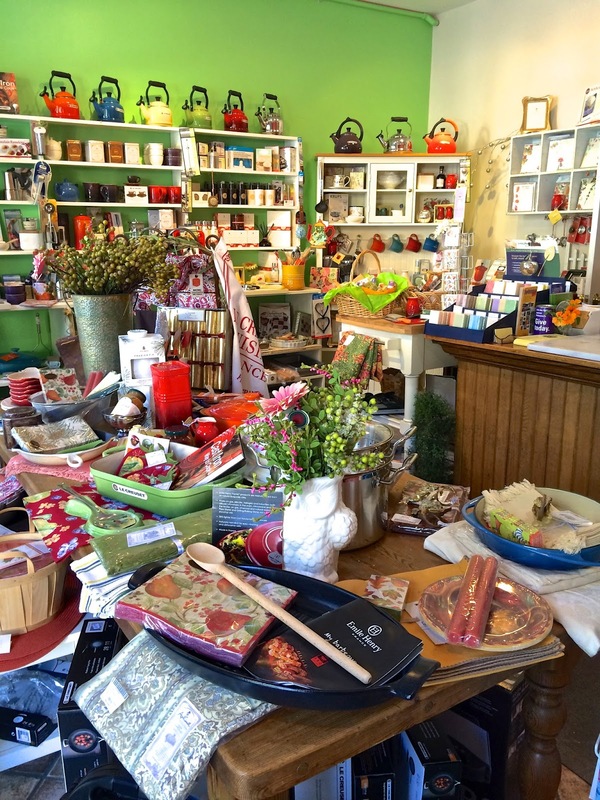 A food lover's dream boutique shop and Le Creuset retailer. 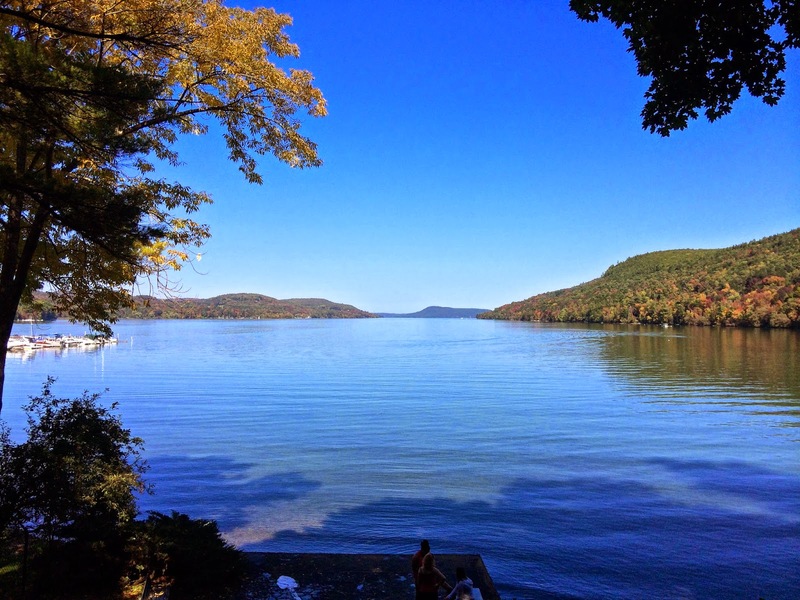 After our Main Street stop, we headed on over to Otsego Lake. 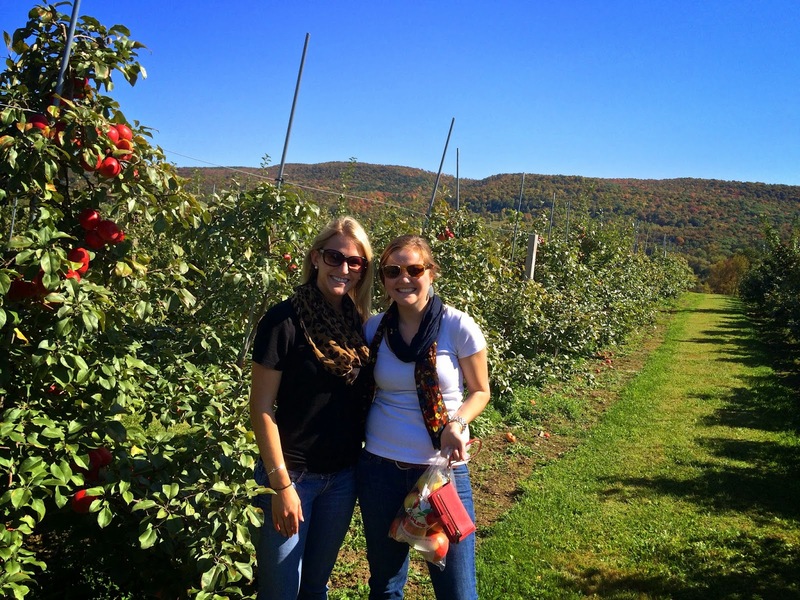 Middlefield Orchard was a beautiful 10 minute drive from the heart of Cooperstown. 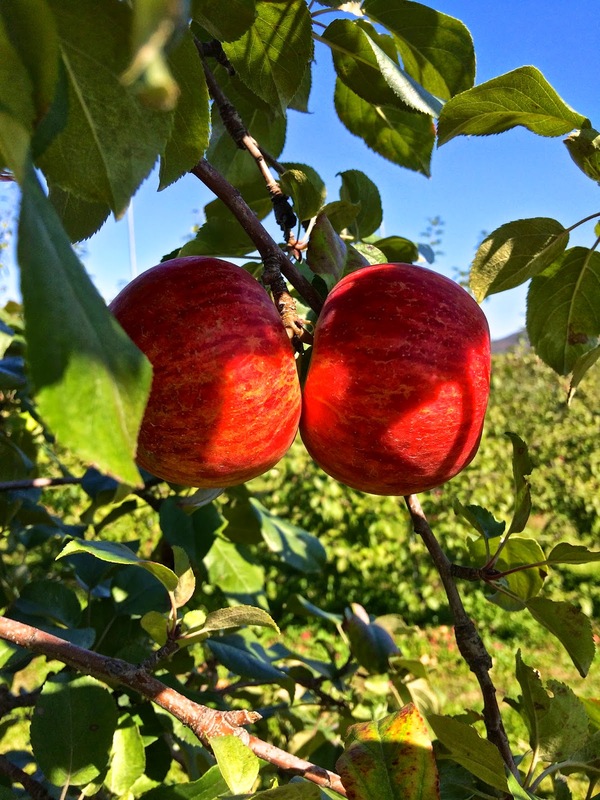 A pair of Honeycrisp apples, my favorite! A cluster of Blondi apples. We brought home some Honeycrisps, Blondis, and Zestars. 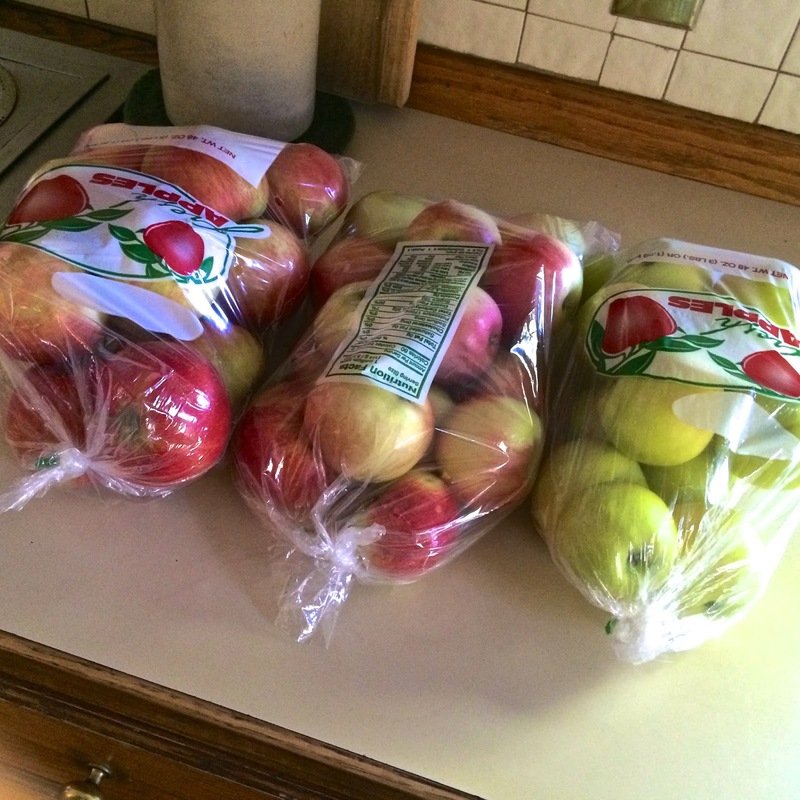 The only logical thing to do with so many apples is to bake! The rest of the afternoon, Mike's mom, sister, and I spent together in the kitchen. We baked family recipes- their homemade apple pie and my mom's apple crisp. 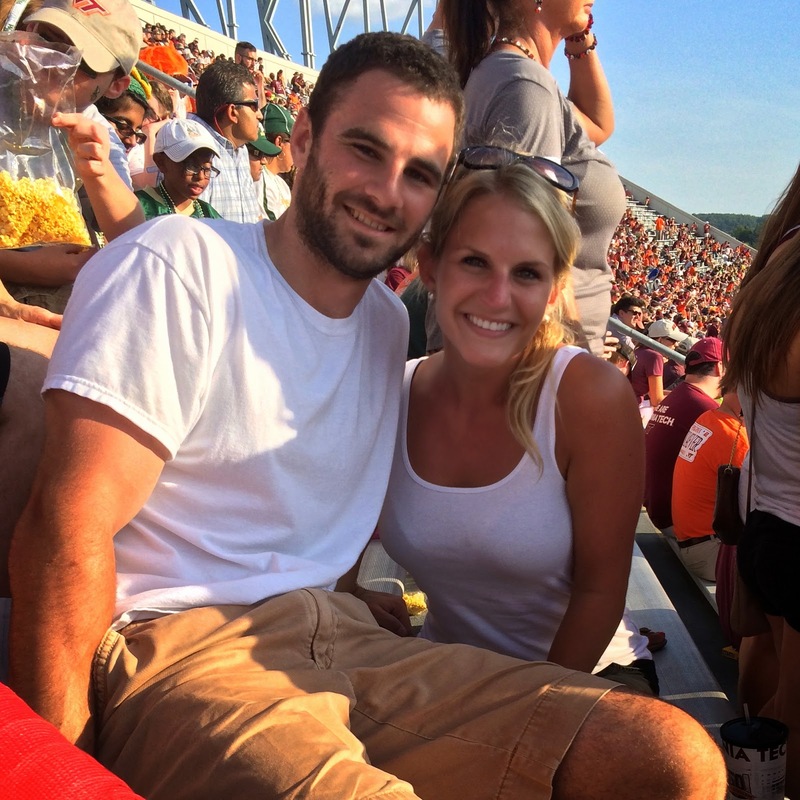 It was a perfect fall weekend! Mix sugar and cinnamon with the apple slices and place in a 9x13" baking dish. Mix oats, flour and brown sugar in a bowl. Add the melted butter, incorporating all of the dry ingredients. Sprinkle this mixture over the apples. Bake for about 40-45 minutes, or until apples are bubbling and the topping is golden. Serve with vanilla ice-cream. Enjoy! 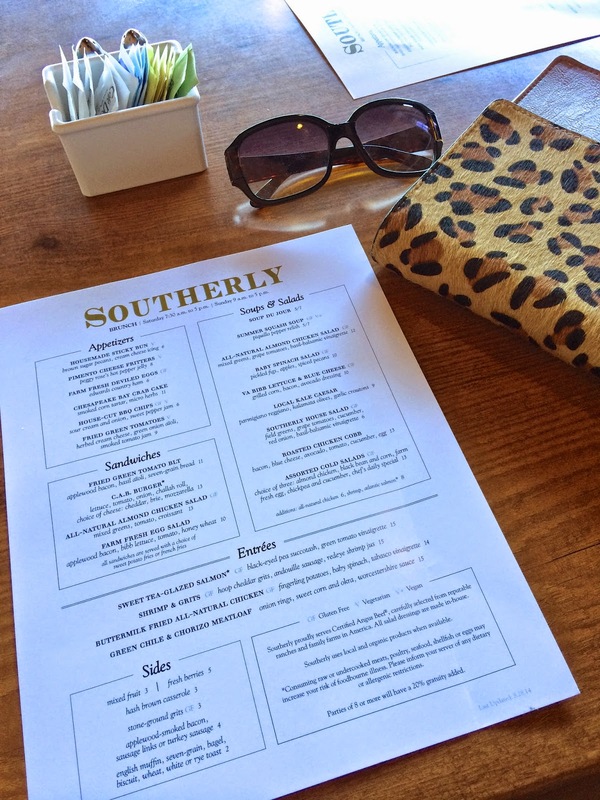 *NOTE: My mom's original recipe calls for raisins and pecan pieces. Mix ¾ c. raisins and ¾ c. pecan pieces in when you mix the cinnamon and sugar with the apple slices. Oriental Coleslaw always reminds me of family get togethers. My grandmother passed the recipe down to me while I was still in college, where I loved being able to cook once I was out of the dorms and in my own apartment. Growing up, I remember enjoying cooking for my family, but looking back, I think in my college apartments are where my passion and creativity in the kitchen really took off, and this blog was born as a way to share the dishes I have made! I also began collecting "too many" kitchen gadgets around this time-- I mean how many college kids have a lemon zester or a complete set of French White Corningware?! Kelley, my roommate, and I would go to Pier 1 every Friday (we strategically planned our schedules in such a way, I might add) to walk around and sometimes buy kitchen items! We, and our other roommate Blair, enjoyed testing our meals out on each other another, and eating was the best part! Mix cole slaw and green onions. In a separate bowl, crunch uncooked Ramen noodles, mix in sesame seeds. Just before serving, mix noodles and slaw. Toss with dressing and serve chilled. *To roast sesame seeds: Preheat oven to 350°F. Spread sesame seeds on a cookie sheet and toast, uncovered, for 5-10 minutes, until starting to brown. Salad tongs and bowl are discontinued, but from Pier 1. 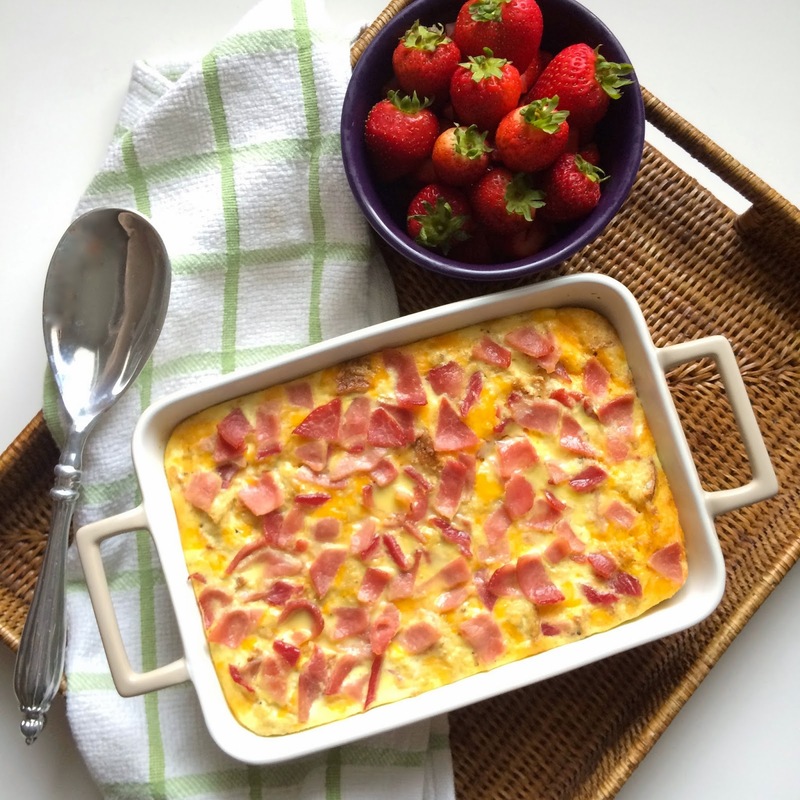 Mix milk, eggs, bread, cheese, dry mustard, salt and pepper in a bowl. Let sit overnight in the fridge, or at least one hour before baking. Right before baking, sprinkle with bacon. Casserole dish is a previous 3-Piece Pot Luck Baker Set color scheme from Crate & Barrel, similar here. 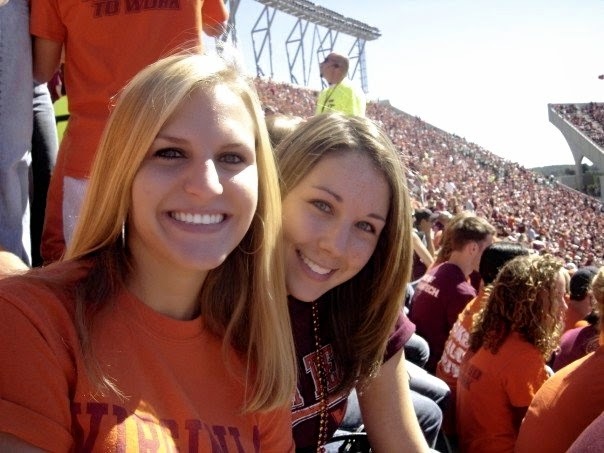 With football season on its way, let the tailgating begin! These breakfast kabobs are perfect for morning/early afternoon games. They are also a great treat (and 2/3 healthy!) for bridal and baby showers and get-togethers. Soak skewers for 20 minutes to prevent splinters from getting into the food; pat dry. Rinse and dry the fruit; set aside. 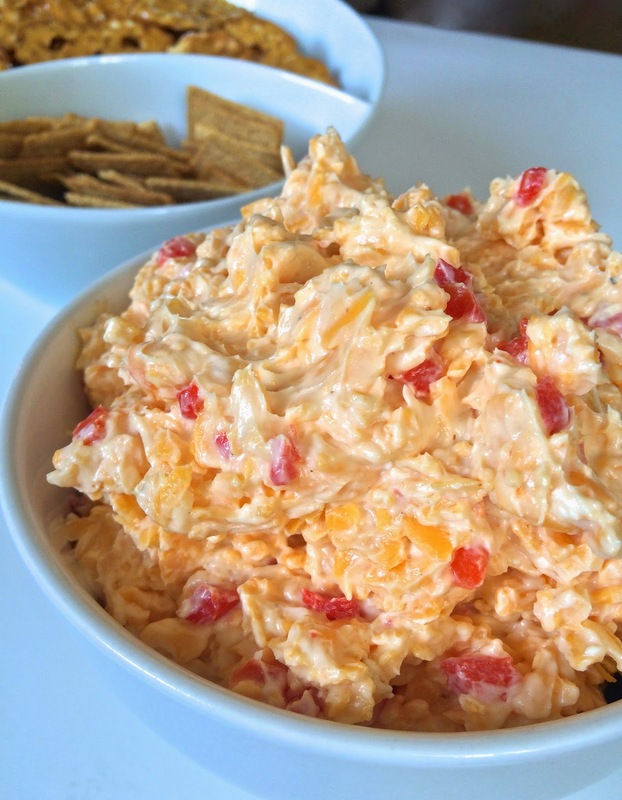 Those who have shared meals with me know I love a good pimento cheese. Having come across many recipes out there, I decided to incorporate my favorite ingredients for the perfect blend. In my opinion, cayenne is the key ingredient for making this a sassy spread with a bit of zing! Grate the cheddar while it is still cold for best results. In a separate bowl, add the cream cheese, mayonnaise, pimentos, cayenne, garlic salt and salt and pepper. Stir the cheddar cheese into the above mixture until well mixed.